California voters will decide in November whether foods produced with genetically modified ingredients — so-called GM foods — should bear special labels. The controversial measure reflects the uneven acceptance of genetically engineered crops since their rise in the 1990s. 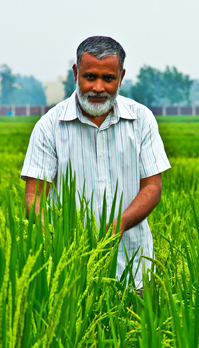 Organic farmers and other opponents of GM foods contend they may pose health or environmental risks, despite widespread scientific consensus that they are not inherently more risky than other crops. Foes of the labeling referendum, including GM farmers and seed producers, such as Monsanto, say that GM crops are more productive, pest-resistant and environmentally friendly than conventional crops and that the fast-growing organic industry and misguided consumer groups are to blame for confusion about the science behind them. Even as GM crops have been embraced by U.S. commodity growers, Europe remains skeptical. However, eight of the 10 countries with the most acreage in biotech crops are now in the developing world.